According to the promotional website (https://bit.ly/2y9NcS9), at the heart of Kuala Lumpur, there locates an area which never sleeps, colourful and bustling than many other neighborhoods. Kuala Lumpur Chinatown is on Petaling Street and other vicinity streets also known as 'Chee Cheong Kai' (Starch Factory Street), a reference to its roots as a tapioca-producing district. Deeply immersed in Oriental culture, heritage and history. Kuala Lumpur Chinatown is one of the most popular tourist spots in Malaysia. There are some Chinese Toaist and Buddhist temples, Christian churches and a Hindu Temple as well as some mosques. This is a rich cultural centre of Kuala Lumpur. 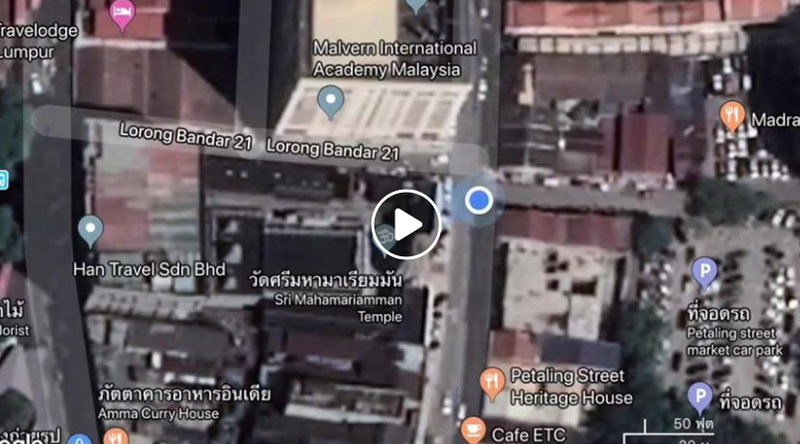 Dr.Sopon Pornchokchai, President, Agency for Real Estate Affairs (www.area.co.th) visited this KL China Town recently and did this VDO.